Maximizing Progress: Tokyo Transit ~ Metro-Regional Rails Supermap! 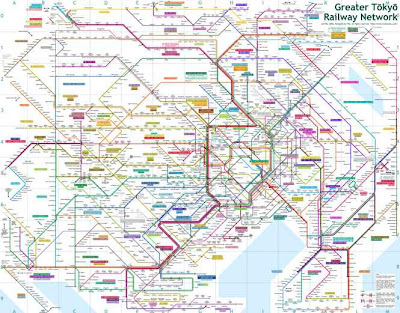 Click on this amazing unified map of all Tokyo metro-railways... I found this reading Stephen Smith's Atlantic piece Why Tokyo's Privately Owned Rail Systems Work So Well.